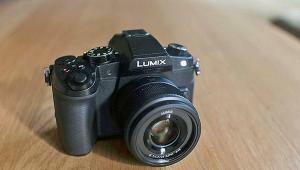 The Panasonic Lumix GH5 offers a new 20MP sensor and image processor system. The camera is very fast and responsive with unique features, including 6K Photo and sophisticated video capabilities. The processor in the Panasonic GH5 offers improved noise reduction by utilizing a larger pixel matrix when it interprets the sensor’s raw data. This allows for a better differentiation of homogenously colored areas, especially those with fine structures, thus enhanced anti-noise filtering. In addition, color reproduction of the new image processor is better than before, something we noted in better skin tone reproduction at high ISO settings. A very important new feature of the Panasonic Lumix GH5 is the “Dual I.S.” 2.0 system. 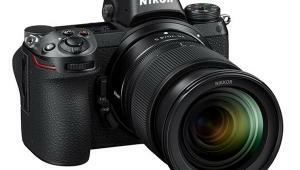 The new camera offers an integrated five-axis stabilizer system based on sensor-shift technology. This internal stabilizer can be used in combination with the optical stabilizer system of the lens in use, thus making it a Dual I.S. system. This setup worked very well in our tests. Compared to the GH4, the new Lumix GH5 has a slightly different design and is a little larger. 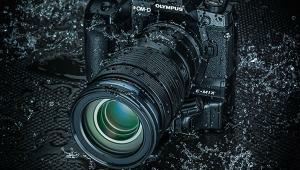 The body is sealed and waterproof, and Panasonic has indicated that they will offer more waterproof lens systems in the future. The Panasonic GH5 has very large function and setting dials on its top. The large mode wheel is lockable, which means settings stay set; a button in the center of the mode dial releases the lock position. An additional function button allows for direct access to white balance, ISO settings, and EV compensation. This button has different surface feels so the photographer can select the desired function even while looking into the viewfinder. 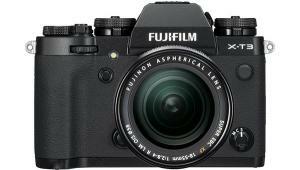 The camera offers a lot of functional elements and setup dials, including one near the shutter release button and two on the back, one of which is used as a cursor control field. 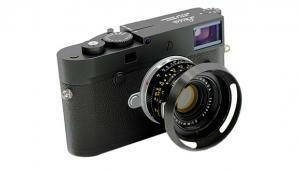 There’s also a small joystick near the eyepiece of the viewfinder that aids in menu navigation and AF area selection. 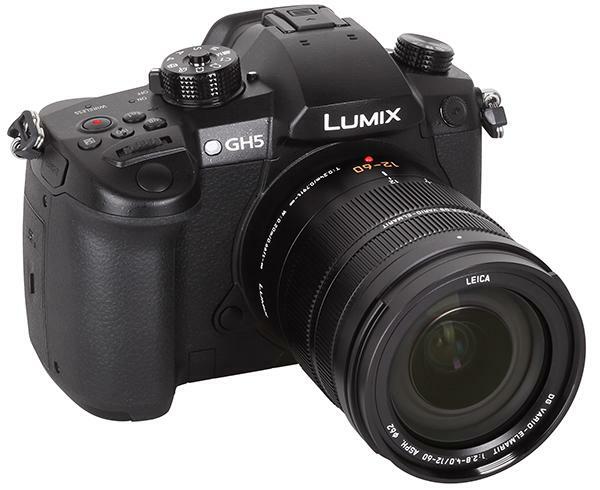 The Panasonic GH5 offers three setup dials: a) one dial near the shutter release button; b) the second dial on the back (accessible for the thumb of the right hand); and c) a third dial that is also used as a cursor control field. 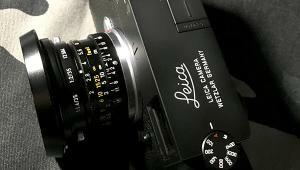 In addition, the camera has a small joystick on the back, so menu navigation and parameter setting is very easy. The Panasonic GH5 also has a number of additional function buttons that are user definable. Plus, there are “virtual” function buttons on its touchscreen LCD. Panasonic offers an optional battery grip that adds to power duration as well as offering a second shutter release button and additional setup dials; an added benefit is how it makes the camera firmer in hand. 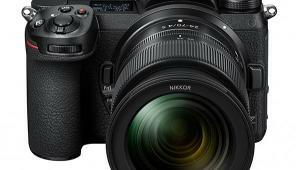 The dial on the left-hand side offers settings like single shot, continuous shooting, the “4K/6K Photo” function, and more. A large and lockable dial on the right-hand side offers standard exposure modes, three custom-defined modes, auto/effect modes, and “manual video” mode. The manual video mode has to be activated to use the professional video features (4:2:2 and 10-bit recording, for example). 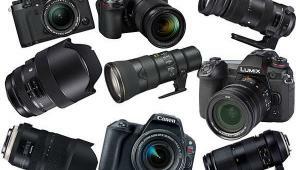 Previous Panasonic cameras offered a function called “4K Photo,” which combines photo and video technology. “4K Photo” allows the user to shoot up to 30 frames per second (fps) in 4K resolution with a photographic aspect ratio (4:3, 3:2). All images are saved as video files (MP4) but the photographer can extract single frames of the video as an 8MP JPEG file. The Panasonic GH5 now offers a “6K Photo” function. 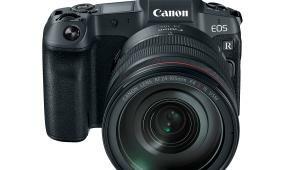 It will shoot up to 30 fps in 18MP resolution, so the single frame has 4992x3744 pixels (4:3 mode). The enhanced function still allows work in “4K Photo” mode, but at up to 60 fps. This is very helpful for recording fast-action sequences, although it only works in autoexposure mode. The Lumix GH5 has a massive and sealed body, with interfaces on the left-hand side covered by thick rubber caps. These interfaces include a USB 3.1 (Type-C) interface and a full-size HDMI interface. The touchscreen of the new Lumix GH5 is fully articulated. It can be swiveled to the side and to the front. For transportation it’s recommended to flip the monitor so the glass faces the camera body. Color: The Panasonic Lumix GH5 yielded very color-rich images. The test chart was reproduced with an average saturation of 108.1 percent. The main reasons for this increased color level are blue nuances, which are extremely oversaturated and boosted, while most other colors show only minor or average shifts toward higher saturation. This test image was taken in Auto/P mode. It is a little underexposed (-1/3 to -2/3 EV). Colors are highly saturated, especially the dark blue nuances. Detail reproduction is very good. Red nuances are shifted into the more orange and yellow area in the Panasonic GH5’s images and have high saturation, yet the differentiation of red nuances is still very good. Brighter skin tones are reproduced extremely well while darker skin tones show a shift into the more saturated and orange-colored area of the color space. We do note that the new image processor yields enhanced overall skin tone reproduction from the previous one, especially when using high ISO speed settings. The Lumix GH5 yields nice skin tones and highly saturated red nuances. The background shows a little shift into more greenish colors. Sharpness: The GH5 uses a new sensor without low-pass filtering to enhance sharpness and detail reproduction. The test chart was reproduced with 3,414 of 3,888 lines per picture height. 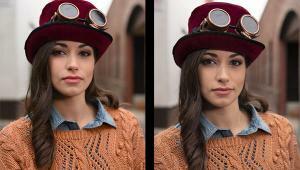 All images have a very crisp look because the camera uses an intense filtering system to enhance the image sharpness. This becomes visible on the hard contrast lines on the test chart. This effect is also visible in real-life images, but is on a very acceptable level. Color reproduction in still images and standard video modes is very good. The white balance system works fine with every lighting system we tested, although colors are a little oversaturated. Noise: The new image processor provides better noise reduction algorithms that yielded very good results in our noise tests. Anti-noise filtering effects become visible in images taken with ISO 3200 and higher. The camera achieved a maximum of 11.6 f/stops of dynamic range, although this drops drastically at ISO 12,800 to less than 9 f/stops, but the overall result is still very good. While the Panasonic Lumix GH5 is an excellent still camera, it may be even more fascinating as a video camera. It offers 4K recording, including “real 4K” mode with 4096x2160 pixels, as well as numerous UHDTV modes with 3840x2160 pixels. The Panasonic GH5 has many video modes and video formats. It offers MP4 and MOV recording, AVCHD formats for Full HD recording with 1920x1080 pixels, and supports a lot of different frame rate and data rate settings. But most important is a new file format that supports 4:2:2 chroma subsampling and a 10-bit color depth, parameters required by professional video production facilities and broadcast stations. The higher “color resolution” and bit depth guarantee high-quality videos for postproduction. In addition, the camera allows video recording on external recording systems via its HDMI interface. The Panasonic GH5 offers video recording in “LOG” formats. In VLOG mode the camera uses a logarithmic gradation curve when processing raw data from its sensor. The output seems to lack contrast and looks very flat and color saturation is very low. Yet, these VLOG videos are perfect raw material for postproduction. Videos can be graded and optimized with editing software and LUTs (Look-Up Tables) for color conversion can be used for film simulation, which give GH5 videos the look of analog film material. The Panasonic GH5 allows video recording without time limits. While most digital still cameras have limits of 30 minutes, or even only five minutes, the Panasonic allows the user to shoot endless sequences. The Panasonic GH5 offers all manual settings in video mode. To start and stop movie recording the photographer can use the second shutter release button while working in photo modes. To use the video options like VLOG recording or video files with 4:2:2 chroma subsampling and 10-bit, the camera has to be switched to “manual video mode” on the mode dial. In this mode the standard shutter release button is used to start and stop video recording. The camera also allows manual sound level control and interfaces for external microphones and earphones. The Panasonic Lumix GH5 yielded an excellent performance in our video tests. Recording in Full HD mode showed a new record of 1,030 of 1,080 lines; 4K videos (UHDTV) are recorded with 1,803 of 2,160 lines per picture height. Videos in 4:2:2/10-bit mode look extremely crisp and clear. The results of the GH5 prove to us that this camera can be used in a professional environment. Color reproduction in the Panasonic GH5’s standard video modes is very good. The white balance system works fine with every lighting system we tested, although colors are a little oversaturated. As in photo mode, the blue nuances are highly saturated. Noise results are also comparable to results in photo mode. The Panasonic GH5 offers smooth and clear videos at ISO 200 to ISO 3200; at ISO 6400 color noise artifacts become visible; and at ISO 12,800 videos become very noisy and grainy. Dynamic range results are very high in the ISO 200 to ISO 400 range. 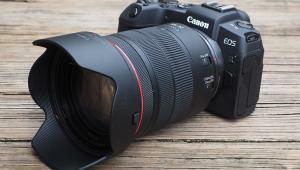 The camera achieved a maximum of 10.9 f/stops, which is extremely high for video recording. The Panasonic Lumix GH5 (body only) has a list price of $1,999. For more information, visit panasonic.com.